Works as CBT Therapist at First Psychology Centre, Edinburgh. Karolina Darling is a Cognitive-Behaviour Therapist who has over ten years' experience working as a therapist with people from a variety of backgrounds and cultures. She works with adults with a wide range of issues and problems including: depression and low mood (including post-natal depression); anxiety related issues (social anxiety, generalised anxiety disorder, health anxiety, panic, phobias, post-natal anxiety); trauma / post-traumatic stress disorder (PTSD); obsessive compulsive disorder (OCD); work-related stress; eating disorder and body image issues; addiction and substance abuse; low self-esteem; life transitions and adjustment disorder; relationship problems; and many more issues. She has particular experience working with addictions (including process addictions, co-dependency, adult children of alcoholics / addicts, and supporting family adjustment in recovery); survivors of abuse and trauma as well as problems in relation to managing emotions. Karolina takes a person-centred approach to her therapy work and aims to develop a strong, trusting therapeutic relationship with each individual. She believes this to be essential to the success of therapy regardless of the approach being used. Karolina uses a range of evidence based therapies in her work including: counselling; psychotherapy; cognitive-behaviour therapy (CBT); mindfulness-based therapy; DBT-informed therapy; Acceptance and Commitment Therapy and Compassion-Focused Therapy. She works collaboratively with each person and will tailor her approach to suit each individual's requirements and preferences. She frequently uses diagrams, handouts, charts and measures to support therapy and may agree 'between session' tasks with clients where she feels this may be helpful. Karolina is fluent in Polish and is happy to work with people who would feel more comfortable speaking in this language. Karolina has Post Graduate Diploma in Cognitive and Behavioural Psychotherapy (University of Dundee); a Diploma in Addiction Counselling (Naper University) and an MSc in Psychology (University of Wroclaw). She has also undertaken additional training in Dialectical Behaviour Therapy; Compassion Focused Therapy; Mindfulness Based Therapy; Acceptance and Commitment Therapy; and Trauma Work and Trauma Focused CBT. 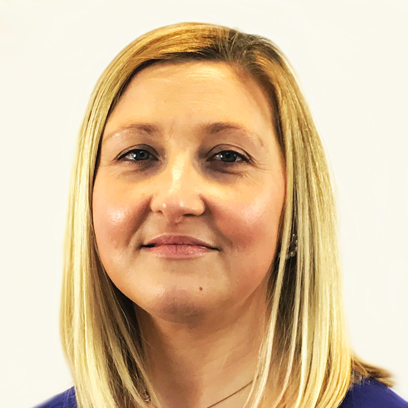 She has experience of working in a number of settings including most recently as a Senior Specialist Therapist at Castle Craig Hospital where she works with individuals and groups. Karolina is accredited as a CBT Therapist with the British Association for Behavioural and Cognitive Psychotherapies (BABCP) and as a Certified National Counsellor (NCAC) by the Federation of Drug and Alcohol Professionals. She is eligible for the British Psychological Society (BPS) Graduate Basis for Chartered Membership. Karolina charges £75 a session for self-funding clients. She also works with clients referred via their employer/organisation – for further details, please visit First Psychology Assistance.